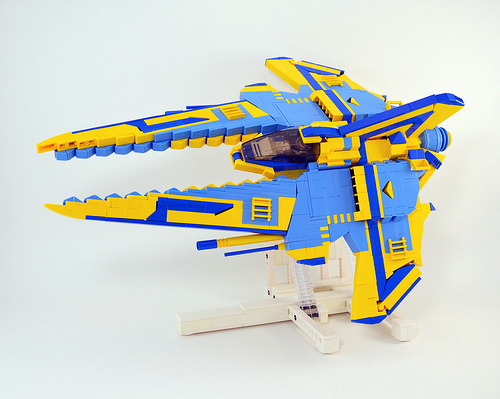 Nick Trotta’s (aka Tardisblue) newest ship combines a superb color-scheme with incredible angles and a Vic Viper flourish to help finish out Novvember. The integration of the stripes into the wings and tail is wonderfully done, and the sawtooth edges on the forward struts give this ship a particularly aggressive look. Be sure to check out some of his other sweet ships, too. I’m speechless. This is a true masterpiece. Hands-down my favorite VV this year, simply to awesome for words.